I was once asked in a pub quiz: ‘Who is the least famous Brontë sister?’ Of course I had to swallow my anger at the injustice of it all and write down Anne Brontë, as I knew that was the answer they were looking for – but it isn’t correct. Less well known is Maria Brontë, the tragic genius of the family, but the least known of all the Brontë sisters is the second sister: Elizabeth Brontë. Isn’t it time that we recognised her as a flesh and blood human, and not just a footnote? Whilst all of the six Brontë siblings died young, Elizabeth’s life ended earlier than any of them – dying aged just ten. It is perhaps this that leads to her being excluded from the Brontë story, along with a suspicion that she lacked the talents of her other siblings, but this is unfair on Elizabeth. Given time her own artistic or literary talents may have flourished – and she would certainly have made positive contributions to the lives of her sisters and brother. Elizabeth Brontë was born in February 1815, in the village of Hartshead where her father Patrick was then the Church of England curate. Hartshead is a small village in the hills above Mirfield in the West Riding of Yorkshire, and a short if steep walk from the Roe Head School that would later be attended by her three younger sisters. It is not at Hartshead that Elizabeth was baptised, however, but at her father’s next parish of Thornton. She was baptised on 26 August 1815, and named after her Aunt Elizabeth who was at that time also in Thornton on an extended visit from Cornwall (and who would later become an integral part of the family in Haworth as Aunt Branwell). Elizabeth’s baptism is the first mystery in her life – as a minister in the church, Patrick would have believed firmly in the importance of baptism, so why did he wait over six months to have his own daughter baptised? Could it have been some illness the young child was suffering from that caused the delay? We will never know. This is one clue that Elizabeth had different priorities to her siblings. While they loved to play and read and invent stories, Elizabeth liked order and tidiness, and the more practical things in life. This is also confirmed by her admission entry in the records of the Clergy Daughter’s School at Cowan Bridge. It should be noted however that nearly all the pupils have similarly harsh judgements against their name (other than Emily who was given a uniquely glowing report when she arrived), and the pronouncement that she ‘writes pretty well’ is better than most of her contemporaries at the school. Of course, worse was to come for Elizabeth at Cowan Bridge. In that terrible establishment she, like her sister Maria and many others, contracted tuberculosis. 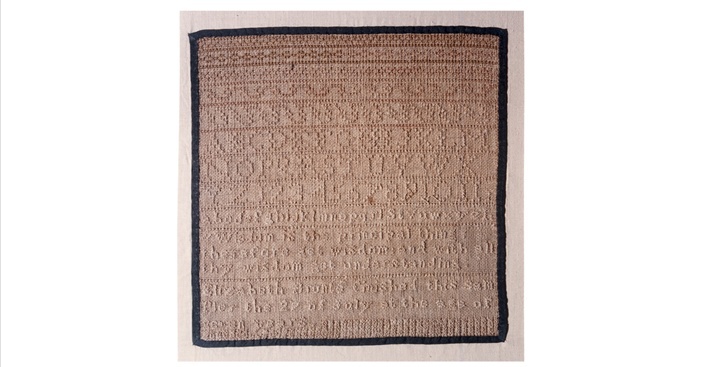 She was sent home to Haworth in May 1825, and died on 15th June, just six weeks after her eldest sister. So what do we know of Elizabeth Brontë? She was patient, she bore misfortune, she enjoyed housework, and also that her writing was better than most girls of her age. But there is more to Elizabeth than that. 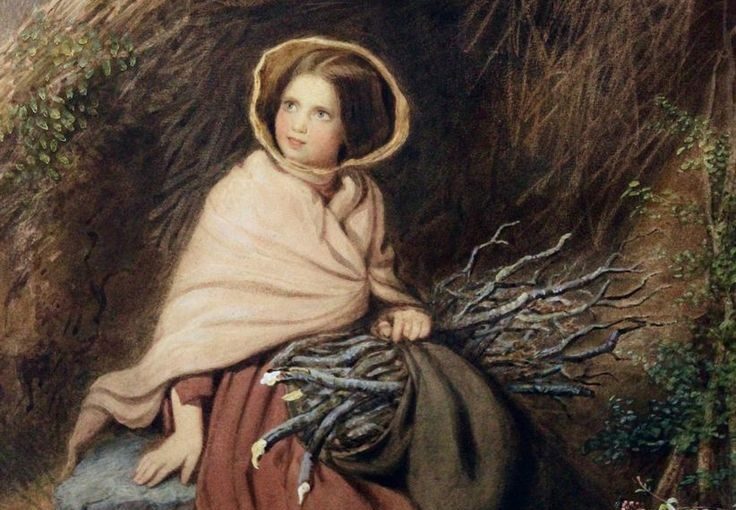 Nancy Garrs, family servant, recalls how the young Elizabeth would lead her younger sisters by the hand on their walks across the moors, and that she was ‘very thoughtful’ in her treatment of them. Could it be that Emily, who never forgot a good deed done for her, chose her pen name of Ellis partly as a tribute to her lost sister Elizabeth? If Elizabeth had lived longer, this combination of kindness and common sense would have proved invaluable to her sisters and to her brother Branwell. We see signs that she was the most practical of the Brontës, and therefore it seems likely that she would have been better equipped to cope with the outside world than her sisters, in general, were. What we can tell is that those who knew Elizabeth, her family, loved her, missed her, and remembered her fondly, and for that Elizabeth Brontë deserves to be thought of as more than just a footnote. I found this post one of the most thoughtful and interesting so far. The entry casts its net beyond the ‘usual information’ which has been replicated so many times in Bronte scholarship and commentary. Apart from ‘rehabilitating’ Elizabeth, it puts a different spin on the information and comes up with insights of which I was totally ignorant despite being a Bronte fan of many years (mainly Anne). I found Elizabeth’s reply to her father’s query insightful in light of the other information – practical and reliable rather than slow and dull; she led the other kids, was the object of her father’s favourable comment and scored at least as high as the other children, despite having been labeled as fit for the ‘servant class’. Highlighting Emily’s use of a variant of ‘Elizabeth’ in Wuthering Heights also makes a point (if pertinent). Thank you for your post about Elizabeth Bronte. We often hear of the marvelous Maria, but I think it’s significant Mary Taylor remembered Charlotte speaking of both sisters as a pair and as wonders. Plainly Elizabeth had the Bronte stoicism too, as she bore that cut so bravely. It’s of note how Nancy Garrs remembered Elizabeth’s help so long afterwards. Overall , EB had a remarkable career…for being just 10! I have been faced with the same question in quizzes. Do you give the right answer or the “right” one? 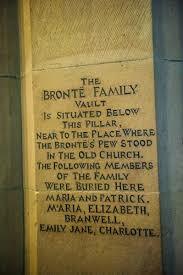 The other hard question is “How many Bronte sisters were there?”!